UC San Diego is a hotbed for talented young innovators and thinkers. Just ask Forbes. The global media company and business magazine recently named four UC San Diego affiliates to its 2018 Forbes 30 Under 30 list, an annual “encyclopedia of creative disruption” featuring 30 young leaders in each of 20 featured industries ranging from music and media to education and finance. Rising stars honored on the Forbes 30 Under 30 list include UC San Diego Electrical and Computer Engineering professor Dinesh Bharadia, Scripps Institution of Oceanography graduate student Natalya Gallo, and Scripps alumnae Emily Callahan and Amber Jackson. According to Forbes, those named to the 30 Under 30 list were vetted from 15,000 nominations, leaning on the “collective wisdom” of the online community, reporters, and a panel of judges. Jacobs School of Engineering Assistant Professor Dinesh Bharadia. 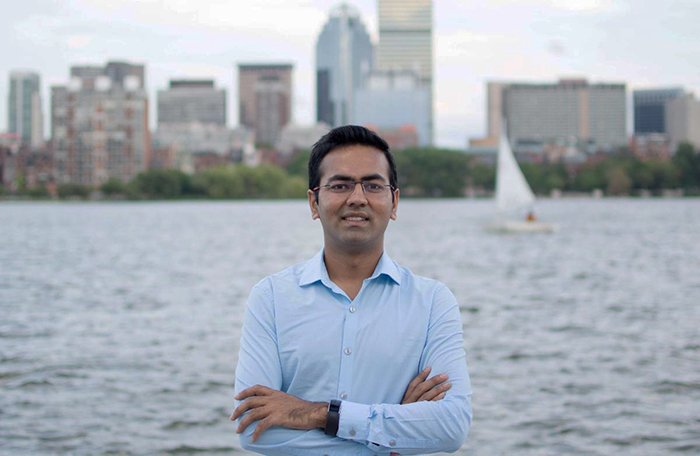 Bharadia was named to the Forbes 30 Under 30 Science list for proving that it is possible for a radio to transmit and receive overlapping data signals at the same time, at the same frequency. This research was commercialized by Kumu Networks and Deutsche Telekom has led successful field tests of the technology. Bharadia is a new professor at the Jacobs School of Engineering, where he teaches electrical and computer engineering. He is known for translating fundamental ideas in communication theory to build communication systems that solve practical problems. "My vision is to design and build wireless networks and technologies that will advance various areas including health, medicine, smart cities smart autonomous systems," he said. "I am excited for the opportunities to collaborate on fundamental work in wireless technologies with local industries and colleagues at UC San Diego." 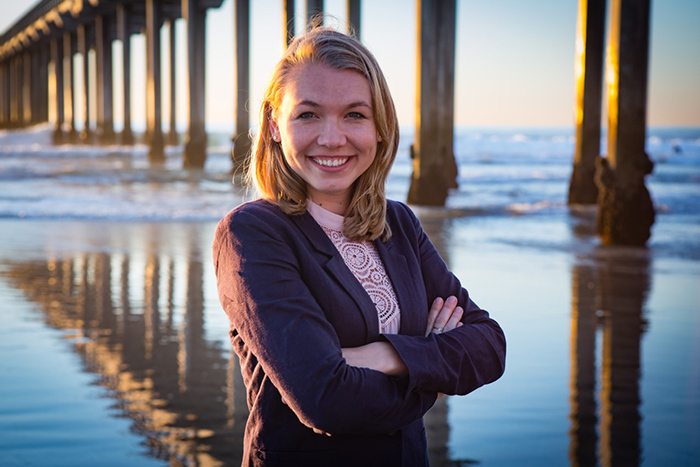 Gallo made the Forbes 30 Under 30 list in the Science category for her research on how climate change is impacting marine communities and the health of fish and fisheries. As a graduate student in the lab of Scripps marine ecologist Lisa Levin, she has been studying the implications of climate-driven oxygen decline in the ocean, a process called ocean deoxygenation. Gallo is passionate about improving the interface between ocean scientists and policymakers and has participated in four international United Nations climate negotiations conferences. She has also collaborated with engineers to develop new instruments for studying deep-sea ecosystems, including an autonomous deep-sea lander that can collect video and environmental data. Earlier this year, Gallo received the Switzer Environmental Fellowship, and said she’s incredibly honored to now be recognized by Forbes as a science leader. Callahan and Jackson made the Forbes 30 Under 30 Energy list for work with their company Blue Latitudes, which aims to transform decommissioned offshore oil platforms into artificial reefs that encourage the growth of thriving ecosystems. The two marine biologists met in a scientific diving course while attending the Master of Advanced Studies program in Marine Biodiversity and Conservation at Scripps. 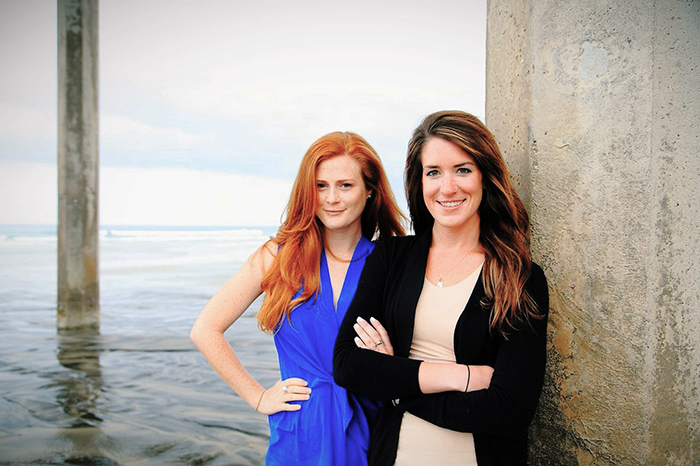 Upon graduation in 2014, the UC San Diego alumnae cofounded Blue Latitudes, which conducts ecological value assessments, ROV surveys, and environmental support for oil rig decommissioning plans while engaging with regulators, government, and industry stakeholders.